Cape Cobras and Warriors are the two contenders of CSA T20 Challenge and also the oldest member. They have participated in current season of Ram Slam T20 Challenge as the two of six participants. Both are potential and could able to win the title. Though, both teams have the experience of winning this most prestigious title. Warriors won once and Cape Cobras won it twice times totally. This two giant teams have faced against each other in 10th December, 2017 and the match was hosted at Buffalo Park, East London. 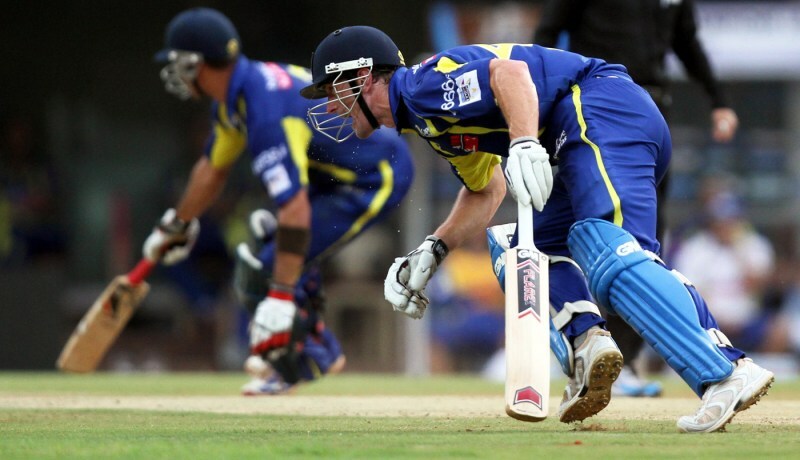 In the match, Warriors won by 18 runs against Cape Cobras. However, this was the 2nd head to head battle between this two teams in ongoing season of CSA T20 Challenge. In first match between them, Cape Cobras beat Warriors by 10 runs. So, Warriors took their revenge this time. Besides, it was the 10th matches of both Cape Cobras and Warriors and through the match, they have finished their group stage competition. Cape Cobras is in 3rd position where Warriors is in 4th position on the point table so far. Cobras managed five victories by playing ten matches where Warriors managed four victories out of ten. Earlier in 10th December, 2017 Warriors lost the toss and came to bat. They scored 168 runs by losing five wickets. The skipper of the team JJ Smuts scored highest 48 runs. In return at Buffalo Park, Cape Cobras finished their innings with 150 runs. They lost six wickets in selected 20 overs. Hashim Amla scored 39 runs highest. Warriors started their innings with captain Smuts and Vallie. They added just 12 runs when Vallie was gone with individual 8 runs. Later, Smuts and Ingram made a partnership which added exactly 80 runs and led the team to a securing total. Later, Ingram was gone with his 41 runs. By scoring 48 runs Smuts was also gone. Jonker and Ackermann added another small partnership where Jonker scored 38 runs. Most of the players got runs in the match and so, their innings ended up with 168 runs so far. They lost total five wickets in 20 overs. Linde took highest two wickets for Cape Cobras. It was the 28th match of the tournament and came tyo bat in second batting Cape Cobras started with Levi and Amla. Their openers added 43 runs to the scoreboard when Levi was gone with individual 31 runs. Later in 83 runs Bavuma was gone. He scored just 6 runs. Just seven runs later, Amla was gone with highest 39 runs. Most of the players scored a little runs except three players. They did not reach the double figure. FInally in selected 20 overs, they scored 150 runs by losing six wickets. Colin Ingram took two wickets for Warriors.